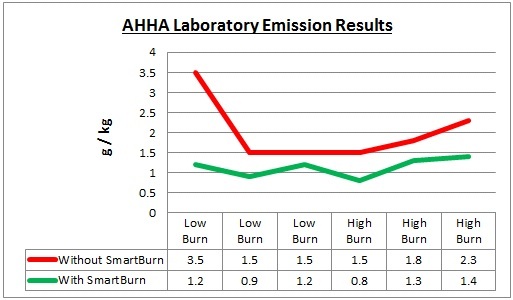 SmartBurn has been extensively tested for effectiveness and safety by four independently Certified Laboratories. 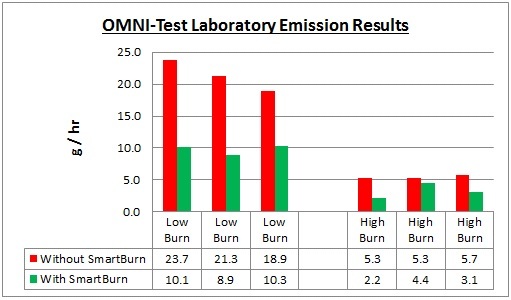 These tests have proven that SmartBurn reduces wood smoke emissions by up to 54%, while gaining up to 17% more efficiency. This is in accordance with AS/NZS 4013:1999 and U.S ASTM 2515-07, EPA Method 5G and EPA Method 28. 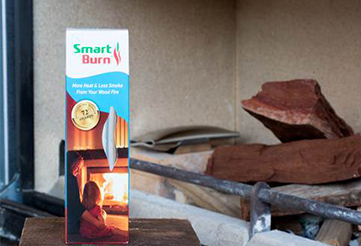 The SmartBurn ingredients have also been proven to not contribute to corrosion, ensuring the longevity of your flue and firebox by SGS Australia and is safety clearance tested under standards AS/NZS 2918:2001 and U.S UL 1482 Section 12.